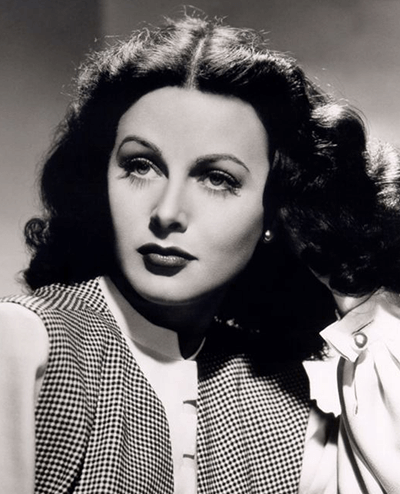 Hedy Lamarr, born Hedwig Eva Maria Kiesler, was an Oscar-nominated Hollywood film star, and more importantly, a natural inventor. In 1981, she retired to Miami Beach, Florida and later spent her final years in central Florida. At the age of 28, Lamarr designed and patented a radio controlled, frequency hopping system called the Secret Communication System that was intended to keep U.S. Naval torpedoes from being detected by German naval fleets. Lamarr donated the patent to the U.S. Naval war effort, and although the Navy didn’t employ it during WWII, it proved to be invaluable during the Cuban Missile Crisis. Over the course of the next six decades, Lamarr’s groundbreaking invention went on to serve as the foundation for a multitude of communication technologies, including fax machines, top-secret military and diplomatic communications, GPS, internet, Wi-Fi, satellite communication systems, and wireless communication, spawning significant advances in cyber security. Despite having never been formally educated in math or science, Lamarr paved the way for advancements in communication technologies that will continue to be used worldwide for years to come. In 1997, the Electronic Frontier Foundation (EFF) was the first to publicly acknowledge Lamarr for her invention by presenting her with the EFF Pioneer Award. She later went on to be the first woman to receive the BULBIE Gnass Spirit of Achievement Bronze Award, and in 2014 she was inducted into the National Inventors Hall of Fame.